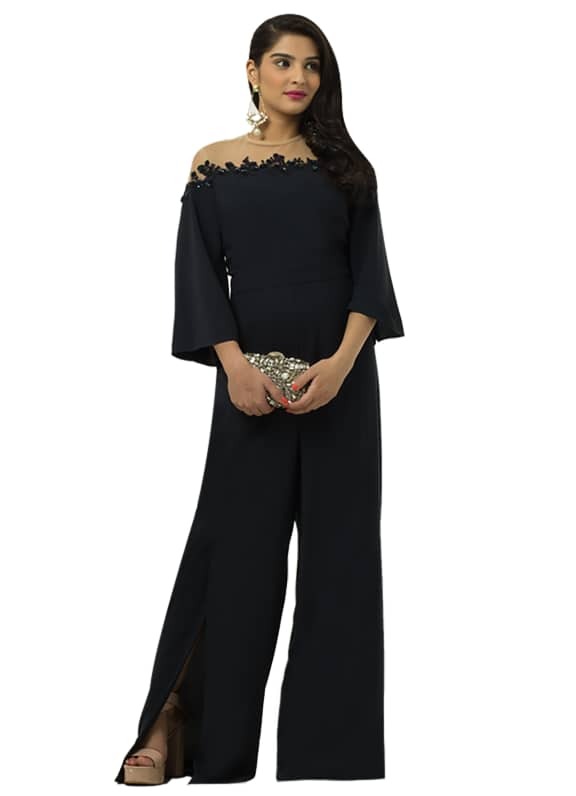 This navy off-shoulder cape-style jumpsuit comes with net around the neck area. 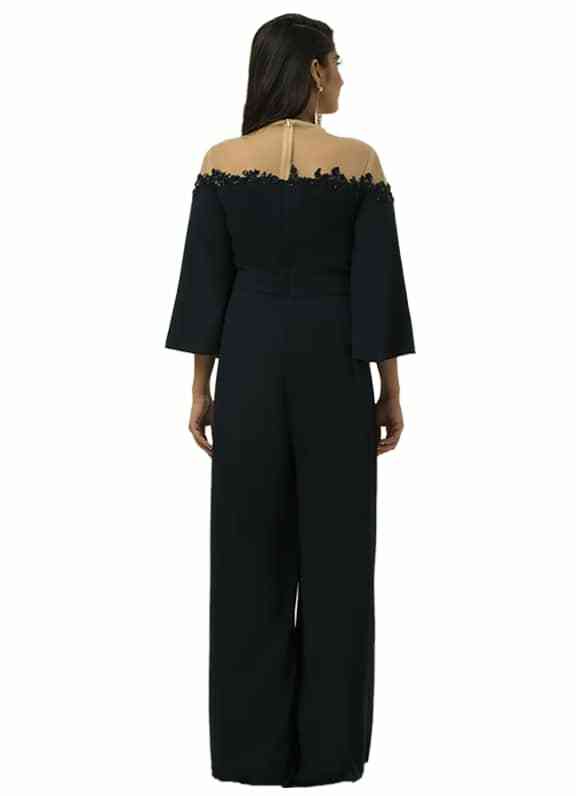 A classic Ridhi Mehra style, this jumpsuit comes with a flowy bottom. Perfect for an evening out with friends. Accentuate those clean lines with a pop of pink on the lips and a classy clutch bag. Accessorise the look with a glam clutch from Bling and green and gold chandelier earrings from Mithali Kabre.